Full service plumbing business with over 18 years of experience, specializing in tub/shower replacement and bathroom remodeling. Customer service is very important to us, we always return calls and can quote many jobs right over the phone. No job too small. 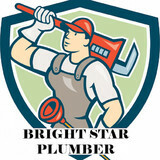 At Bright Star Plumber, we offer a full range of residential and commercial plumbing services. We are committed to providing professional, honest and affordable service on every job. It is our goal to earn your trust and confidence and we'll prove it by providing fast service you can count on, no matter the size of the job. 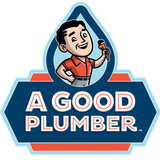 A GOOD PLUMBER INC… WITH OVER 30 YEARS OF EXPERIENCE IN THE PLUMBING AND HEATING INDUSTRY BUILT ON OUR REPUTATION BY RECOMMENDATION! When the pipes have a leak, or the water heater’s misbehaving, our trained and experienced plumbers are your one-call resource for everything in your home or business that is plumbing related. If water or gas runs through it, chances are we can install, upgrade or repair it. Other plumbing companies just don’t have the expertise of A Good Plumber, Inc.. Why? All of the plumbers and staff at A Good Plumber are trained to deliver the highest level of customer service with our peerless plumbing & heating installation and repair. 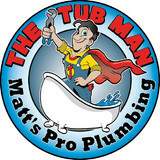 We treat the plumbing in your home or business as we would in our own homes. A Good Plumber, Inc. believes that customer satisfaction should always be a top priority. By focusing on reliable, honest and affordable service, we have created a reputation for success. We have continually provided unmatched plumbing & heating service throughout Brooklyn, Queens, and the rest of NYC for over 30 years, and it is our proud privilege to continue that tradition. All of our staff are guaranteed to be professional; we perform background checks and drug tests on every member of our team because we value your business. Other plumbing companies might neglect this aspect of their business, and it is to the detriment of their customers. A Good Plumber knows that properly screening our staff is an easy way to prevent an avoidable danger to you and your family. We trust our trained staff to provide the best possible heating & plumbing service to our customers, and that includes guaranteeing your safety. A plumbing contractor handles the installation and repair of water, sewage and natural gas pipes throughout a home, as well as interior and exterior faucets and fixtures. Plumbing contractors are also trained to work with water mains, septic tanks, laundry appliances, water heaters, sump pumps and other plumbing and pipe systems. Because plumbing repair work is done largely behind walls and beneath floors, some plumbing companies can also patch or replace tile, stonework and other surfaces. Although some Milford plumbers are generalists, others specialize in specific areas; a 24 hour emergency plumber will handle urgent residential repairs, while others may be more skilled in remodeling, natural gas lines, overhead sprinkler systems and more. Find a local Milford plumber on Houzz. Narrow your search in the Professionals section of the website to plumbing contractors in Milford, CT. You may also look through photos of Milford, CT projects to find a licensed plumber who has worked on a project similar to yours. Here are some related professionals and vendors to complement the work of plumbers: General Contractors, Septic Tanks & Systems, Kitchen & Bath Designers, Kitchen & Bath Remodelers.